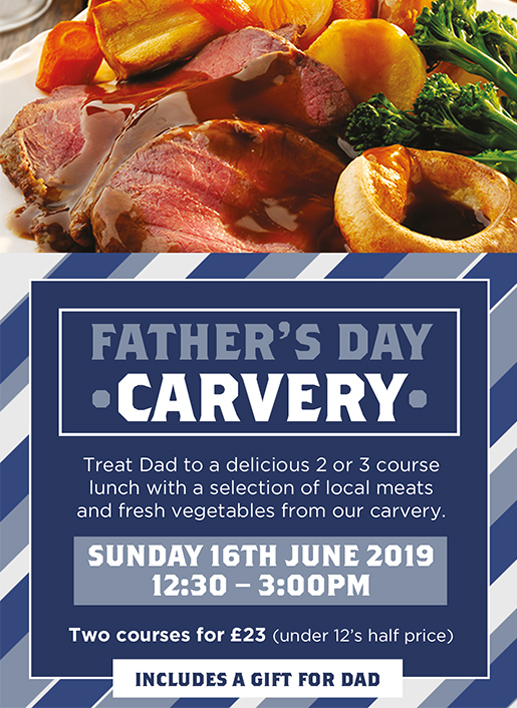 It's time to treat Dad! Delicious carvery using only the finest locally sourced meats, fresh vegetables and all the trimmings. Fish and Vegetarian option also available. Choice of starters and desserts available on the day. £23.00 per person for 2 courses, under 12's half price. Includes a gift for Dad!